Evanston Marble Kitchen Range Hoods carved from real marble. Overhood with stacked marble panels. Header with a simple crown similar to the top crown. 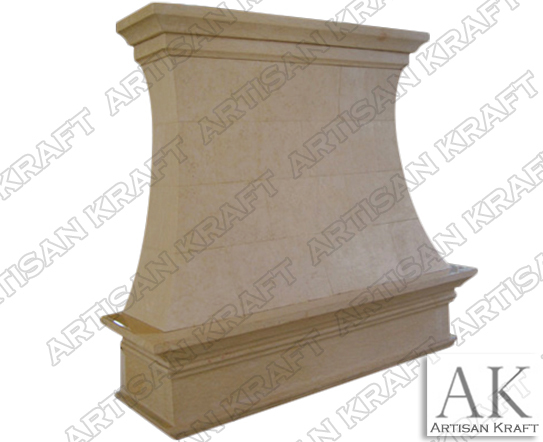 Real stone hoods are a offered in limestone, sandstone and travertine. Stove vent fan covers are also made from copper. Copper might be a great option for you. This is name after the Chicago-Land area city of Evanston and we have a Chicago area showroom that has these kitchen hoods on display. Visit the Anatomy of the Kitchen Range Hood for a description and name of each part.